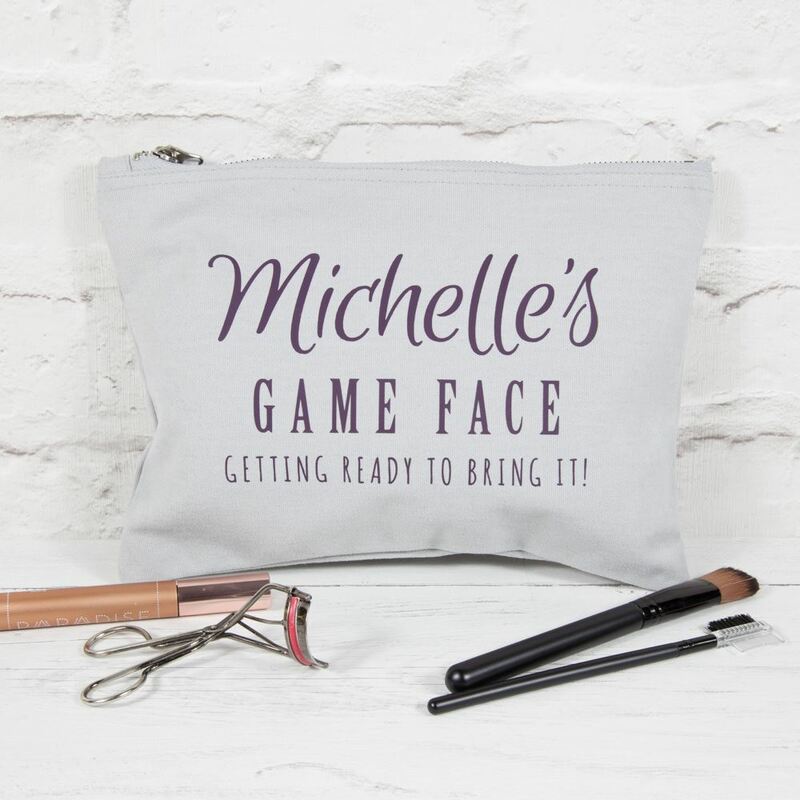 If you need your make up at all times then this make up bag is perfect for you. 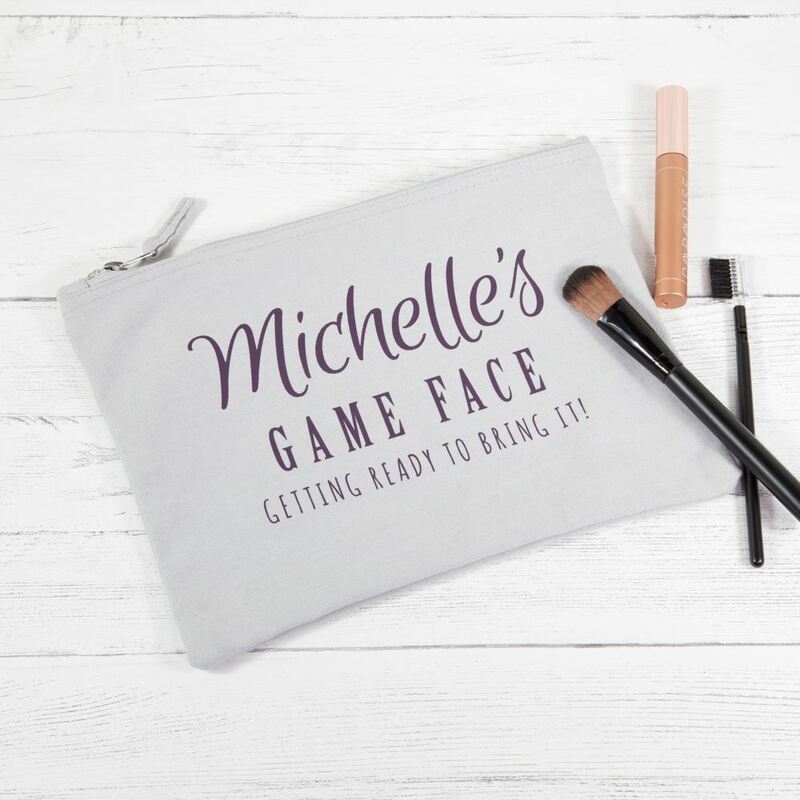 Made from chunky brushed cotton canvas, it is the perfect size for fitting in all of your make up essential. 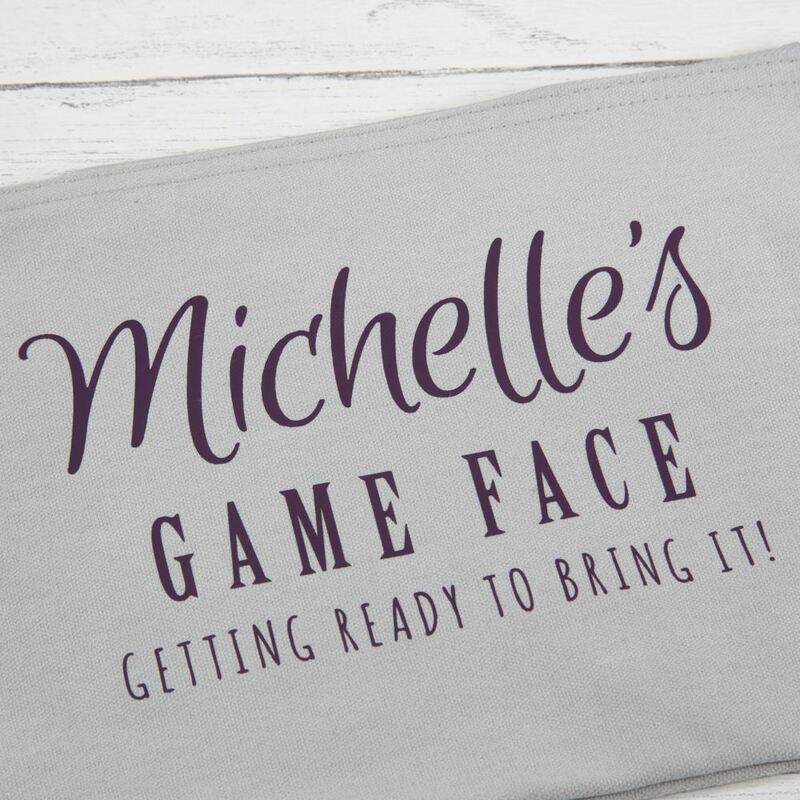 Each bag comes personalised with the name of the recipient and the slogan "........'s Game Face. Getting ready to bring it on". The bag measures 27cm x 20cm.